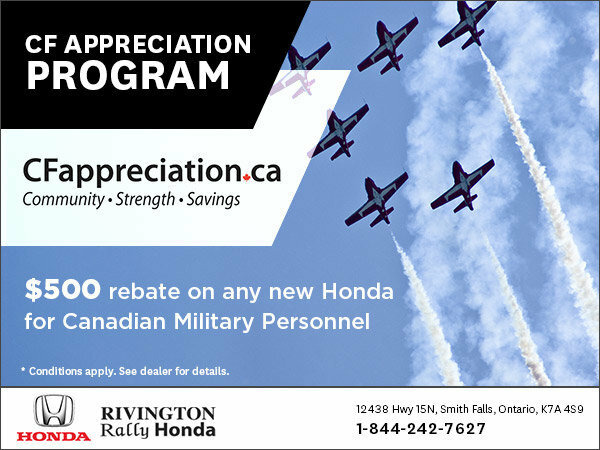 The CF Appreciation Program was created to offer a variety of discounts to Canadian military personnel and their families in recognition of their sacrifices and dedication. The program expanded to include some of the world’s brands and major businesses and is being enhanced and expanded into new markets. *Conditions apply, see dealer for details.